KBB.com 5-Year Cost to Own Awards. Only 52,562 Miles! Scores 22 Highway MPG and 16 City MPG! This Buick Enclave delivers a Gas V6 3.6L/217 engine powering this Automatic transmission. WHITE DIAMOND TRICOAT, WHEELS, 19 (48.3 CM) CHROME-CLAD ALUMINUM, 9-SPOKE (STD), WHEEL, 17 (43.2 CM) COMPACT ALUMINUM SPARE WHEEL AND TIRE. 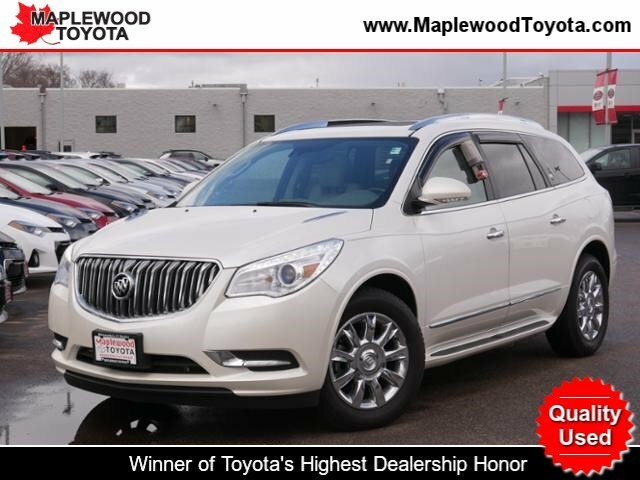 * This Buick Enclave Features the Following Options *TRAILERING PROVISION PACKAGE 4500 lbs. includes (V08) heavy-duty engine cooling system, (VR2) trailer hitch and (QD5) compact aluminum spare wheel, LICENSE PLATE BRACKET, FRONT MOUNTING PACKAGE , TRANSMISSION, 6- SPEED AUTOMATIC, ELECTRONICALLY CONTROLLED WITH OVERDRIVE (STD), TITANIUM, PERFORATED LEATHER SEATING SURFACE, TIRES, P255/60R19-108S ALL-SEASON, BLACKWALL, MICHELIN (STD), SUNROOF, POWER tilt-sliding with additional skylight fixed glass aft of the sliding glass and sunshade, SEATING, 7-PASSENGER, FRONT BUCKET second-row captain's chairs, flat folding and SmartSlide access to third row, third row flat folding 60/40 split bench (STD), NAVTRAFFIC is available in over 130 markets and works with your vehicle's navigation system to give you detailed traffic data right when you need it most - while you're driving. You'll avoid traffic tie-ups, save time and gas by getting alternate routes, and, in some cases, receive traffic speed and drive-time information. Plus, you can use NavTraffic at the same time you're enjoying SiriusXM Satellite Radio. You'll find that once you start using NavTraffic, you won't want to drive without it., ENGINE, 3.6L VARIABLE VALVE TIMING V6 WITH SIDI (SPARK IGNITION DIRECT INJECTION), DOHC (288 hp [214.7 kW] @ 6300 rpm, 270 lb-ft of torque [364.5 N-m] @ 3400 rpm) (STD), AUDIO SYSTEM, COLOR TOUCH NAVIGATION AM/FM/SIRIUSXM/HD RADIO WITH CD PLAYER, INTELLILINK 6.5 diagonal touch-screen display, includes Advanced Bose 10-speaker system, USB port, auxiliary input jack and rear audio controls with 2 headphone jacks (headphones not included). 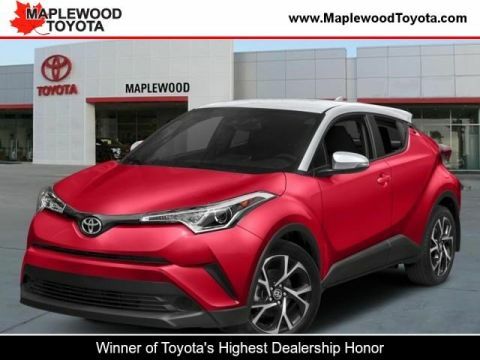 * The Votes are Counted *KBB.com 5-Year Cost to Own Awards, KBB.com 10 Best Luxury Cars Under $40,000, KBB.com Brand Image Awards. * Expert Reviews! 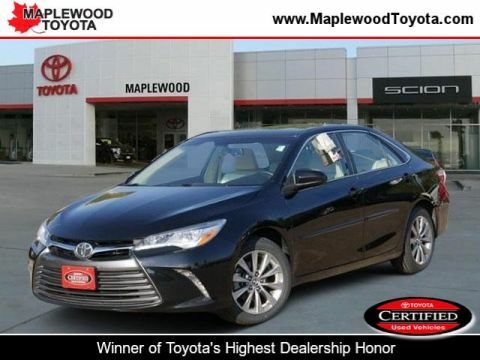 *As reported by KBB.com: Here's your list: Seating for seven or eight, versatility to haul the extras, good fuel economy, refined road manners, quiet comfort, elegant style, luxurious interior, beneficial features and modern technology - for about $40,000. Head to the Buick dealer, check out the Enclave. 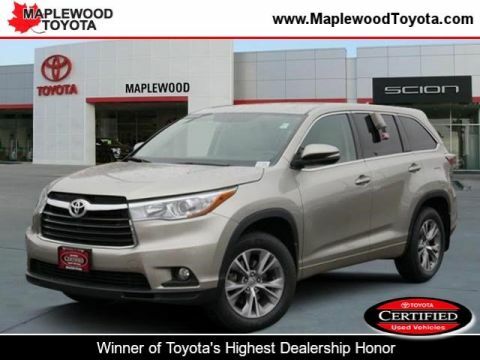 * Stop By Today *A short visit to Maplewood Toyota Scion located at 2873 Highway 61, Maplewood, MN 55109 can get you a reliable Enclave today! Bose Sound System single CD Player with MP3 playback. Includes Advanced Bose 10-speaker system, ETR AM/FM stereo, auxiliary audio jack which enables plug/play connection of all auxiliary audio players, speed-compensated volume, Theftlock, Radio Data System (RDS) and rear audio controls with 2 headphone jacks (headphones not included).